I wanted to remember the details of a point I made in a recent discussion from our “Mentoring the Classics” online course, so I went to my files and perused my notes. As I read through the first page, I noticed two things. First, I had doodled a lot of little drawings and shapes in the margins as I used the notes to teach the class. Second, I remembered pretty much everything on the page. I knew this pattern from years of schooling and teaching, where doodling always increased my learning and retention. I’ve witnessed this same thing in a number of students I’ve taught over the years. What they were actually communicating was “stop learning.” They didn’t mean it this way, of course, but that’s what “stop doodling” resulted in for me. Different students have differing styles, but little things can have a huge impact on what we learn or don’t learn. For example, my daughter Emma always brings snacks to a learning environment. If she isn’t nibbling on something, she doesn’t learn nearly as much. Her husband Ian always takes copious notes in any discussion, lecture, class, or even when he’s reading alone. Take away his notes, and his learning decreases. My son Oliver learns the most by speaking. If the teacher calls on him a lot, or allows him to whisper his thoughts to the people sitting next to him, his learning skyrockets. If not, the quality and quantity of his learning is compromised. My brother Will can repeat almost verbatim things he heard lectured or spoken aloud—even many years later. My daughter Sara learns so much more when she has an electronic device (laptop, tablet, smartphone) and looks up details while she’s reading or attending a class. The reality is that almost every student experiences much better learning under certain circumstances or by applying certain behaviors or habits. These little things may seem quirky, but in truth they’re incredibly helpful. Take them away, and learning diminishes. Why? What drives this compulsion to emphasize “Conformity, not Quality?” So much of modern education is based on this inferior approach. In contrast, one of the 7 Keys of Great Teaching is to focus on “Quality, not Conformity!” If something boosts the quality of learning for a student, and doesn’t hurt anyone, give it a chance. This clearly illuminates the different motivations of conveyor belt schooling (focus: conformity) versus Leadership Education (emphasis: quality). 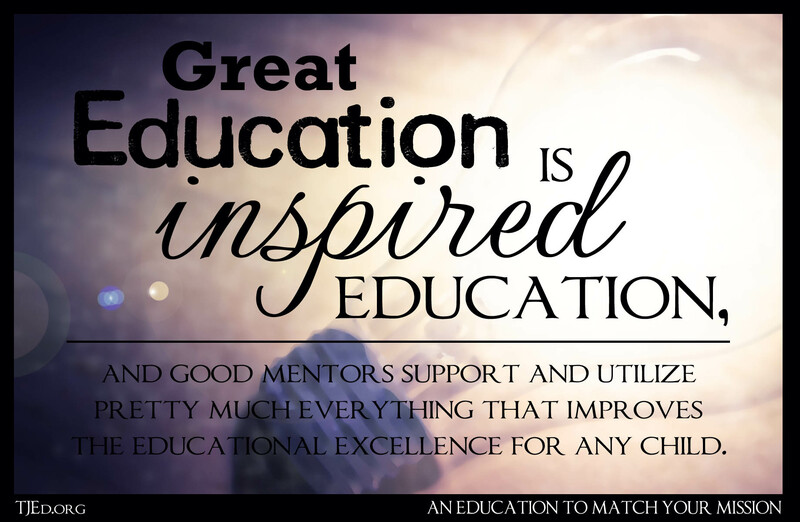 Great education is inspired education, and good mentors support and utilize pretty much everything that improves the educational excellence for any child. When I brought this up in a recent online course in “Mentoring the Classics,” each live participant mentioned things that help him or her learn more effectively. Sara told the story of attending a youth conference and being told by a leader that she should probably stop writing so many notes on her page and really focus on the speaker. Another leader overheard this exchange and told Sara there are three kinds of thoughts that come to you when you are listening and writing notes at the same time. First, negative or unimportant thoughts can distract you from the important purpose. When this happens, try to focus. Second, positive thoughts about the topic of the class or event may come to you as you listen—and you really want to capture them. In such cases, take notes. Third, you may think important thoughts that really have nothing to do with the class or lecture. 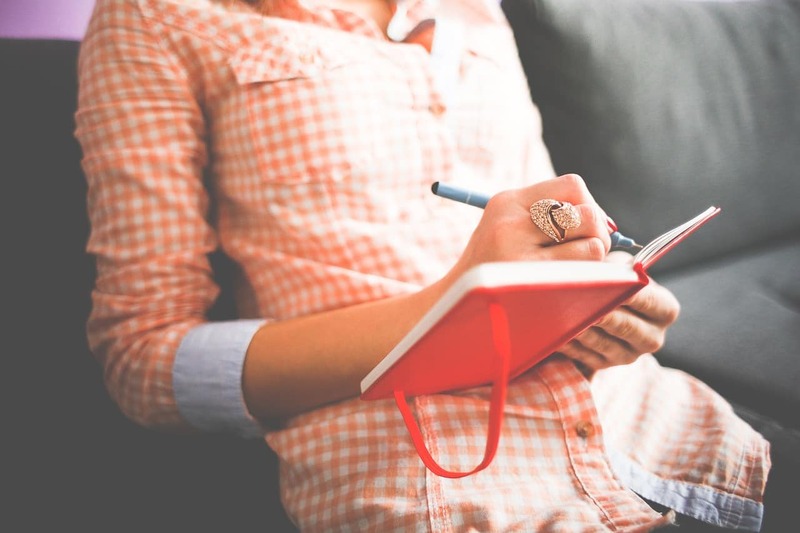 At such times, notes can help you remember ideas that really matter. So, yes, there is a time and place (A) to put away the notes, doodling, whispering, looking up facts and details online, snacking, or whatever other idiosyncrasies seem to help you learn more. But there is also a time and place (B) to let the little eccentricities roll—they’ll have a great positive influence on your education. What more parents, leaders, and educators need to realize is that the right mix should be about 95% or more B and 5% or less A. This really makes a huge difference in the quality of each young person’s learning. This may seem strange, but it is true, and great mentors learn to look for, recognize, support, and repeatedly encourage anything that helps an individual learn more effectively and experience higher excellence as he learns. Quality really is the goal of learning. 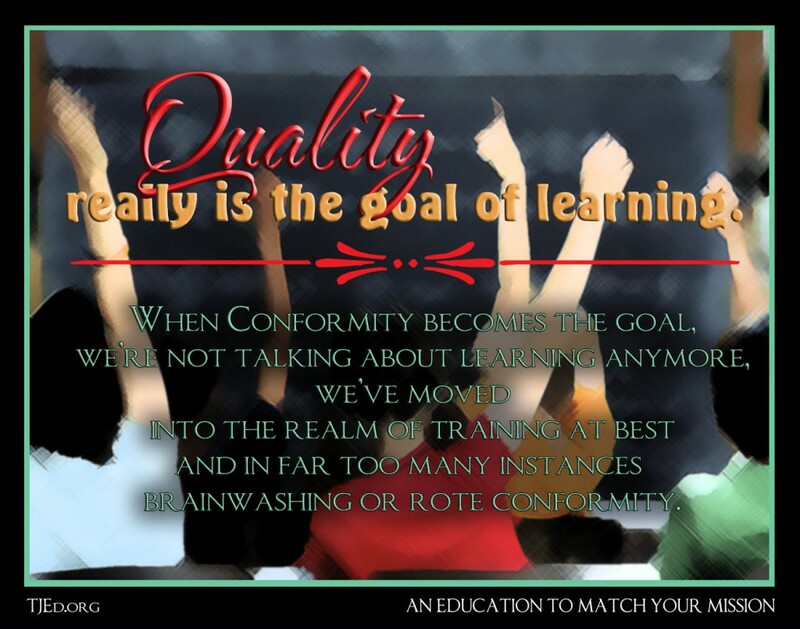 When Conformity becomes the goal, we’re not talking about learning anymore; we’ve moved into the realm of training at best and—in far too many instances—brainwashing or rote conformity. A parent and/or mentor who knows the child’s little personality traits, memory-inducing behaviors, and mind-opening habits can inspire much higher levels of learning. This can have a major positive influence on each student. Those who don’t recognize this, or who try to emphasize rote conformity instead of encourage individual excellence and personalized learning successes, frequently do a lot of unintentional harm in education. I have a question. Do you have any tips on how to figure out a person’s learning style. I can imagine little kids will naturally use theirs. And what about in other’s who have been taught to conform and it’s been squished out of them?